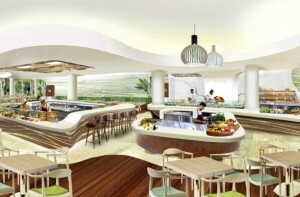 Kempinski Hotels launches Emerald Palace Kempinski Dubai on the West Crescent of Dubai’s exclusive Palm Jumeirah. The 100,000sqm beach resort pays homage to the palaces of 18th century Europe. With 389 rooms and suites, eight world-class restaurants and bars, 3,000 sqm Cinq Mondes Spa, state-of-the-art fitness centre and yoga studio, 500m private white sand beach and 80-seat private cinema, Emerald Palace Kempinski Dubai provides a gateway into palatial living. “We look forward to welcoming our discerning guests to our palace by the sea in 2018, and bringing them on our journey,” says Sebastien Mariette, Managing Director, Emerald Palace Kempinski Dubai. “We aim to offer a combination of timeless opulence and world-class luxury to guests visiting Dubai, guaranteed to create unforgettable memories. The UAE is a compelling country full of rich culture, diverse landscapes and unique attractions, making it a must-visit destination for tourists from around the world.” Offering eight categories in total, the hotel offers 389 guest rooms and suites – each furnished with bespoke pieces from traditional Italian craftsman. At 65 sqm, the deluxe rooms offer one of the most spacious level entry room categories on Palm Jumeirah, while mezzanine suites give guests the chance to add a unique element to their stay. 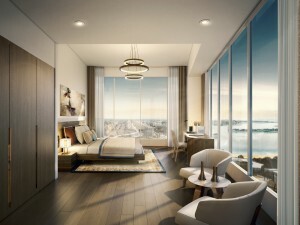 The new AVANI Hotel Suites & Branded Residences with a total 527 keys, comprising 263 AVANI Residences and 264 AVANI Serviced Apartments will be the new addition to be opened in Dubai by 2020. The Residences, which will be marketed to investors as a sale and lease-back product, will be a mix of one, two, three and four bedrooms, the latter offering an impressive 425 square metres of contemporary living space. Offering great visibility for the brand, AVANI Hotel Suites & Branded Residences will be located in a prime area of the city, directly overlooking the iconic Palm Jumeirah, adjacent to Dubai Marina and Media City, and half an hour from Dubai International Airport. 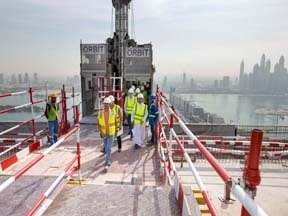 “The AVANI Hotel Suites & Branded Residences will be our third property in Dubai, signalling the brand’s steady growth in the region as well as around the world. Residence owners and guests will be able to enjoy AVANI, starting from the brand’s designed sleep satisfaction and curated honest food programme, to simply exploring the vibrant destination Dubai through our AVANI lens designed to interact with the new generation of travellers,” said Alejandro Bernabe, Vice President, AVANI Hotels & Resorts. 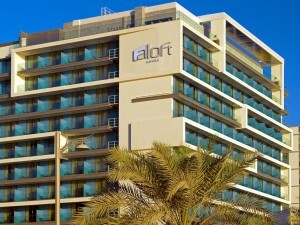 Marriott International announced the opening of Aloft Palm Jumeirah, the first Aloft to open in Dubai. Located on the Eastern crescent of the Palm Jumeirah, the hotel offers 206 loft-inspired guestrooms with airy 9-foot-high ceilings and excellent views over the Arabian Gulf. All rooms feature the brand’s signature offerings, such as an ultra-comfortable plush bed, walk-in shower, Wi-Fi, 49-inch LCD TVs linked to a Plug & Play connectivity panel. Rooms are also equipped with SPG Keyless, the industry’s first truly mobile check-in system where guests can utilise their mobile phones as room keys. “We are thrilled to celebrate the opening of our first Aloft in Dubai, situated on one of the world’s most sought-after destinations – the Palm Jumeirah,” said Alex Kyriakidis, President and Managing Director, Middle East and Africa, Marriott International. “We see a strong demand for Aloft properties in the region as the brand continues to redefine the traditional hotel experience with its vision and innovation. In the UAE alone, the brand will double its portfolio in the next three years with five new openings,” he added.